hd00:37The shower turns on, the water flows down. slowmotion. hd00:13Domestic ceiling fan rotating with a incorporated light switched off. 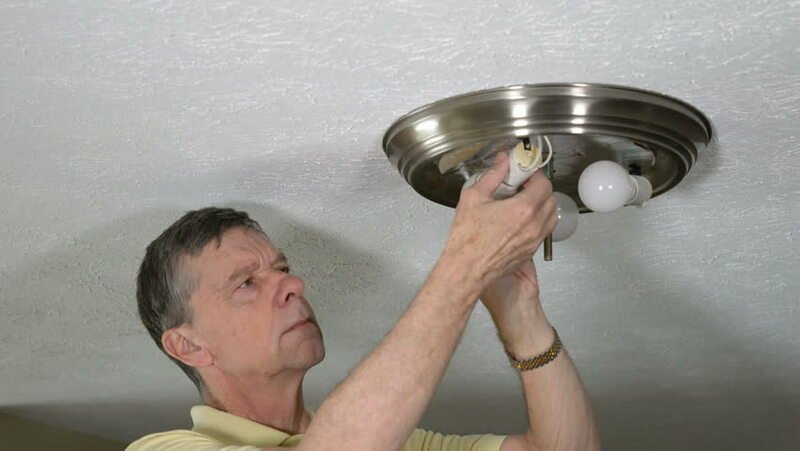 hd00:17UNITED STATES 1970s: Hand screws in light bulb / View of hills, zoom out to men painting house / Hammer hits nail, zoom out to man with hammer. hd00:05Water tap in the bathroom. Flowing water. hd00:28Pouring hot water over the ground coffee.